Terra, a Python / GTK3 drop-down terminal emulator, has been updated today, bringing more stability as well as some new features. Terra looks like a combination of Guake and Terminator so you can get a nice Quake-like drop-down terminal with terminal split views (multiple terminals in one window / tab) and more. Compared to Guake, it features a lot of extra options, such as configurable terminal width, select which monitor the terminal should be displayed on and more. With the latest version, the application now uses libkeybinder3.0 for the keybinder library which should fix many of the issues you may have encountered with keyboard shortcuts in the previous releases. The latest 0.1.7 version also fixes various crashes and slow opening issues and re-implements the hide on lose focus feature. Other changes include: select-by-word characters and change font size using Ctrl + +/-. Since our previous Terra Terminal article, the application has also got a feature that allows switching between terminal splits using keyboard shortcuts, create / close terminal splits using keyboard shortcuts, clickable links and many other minor changes. Also, Terra Terminal now remembers open tabs, including tab names, and restores them on startup. Unfortunately, there's no way to restore terminal splits yet. Note: the Ubuntu 12.04 32bit package has failed to build for the latest 0.1.7 version, but this should be fixed soon. 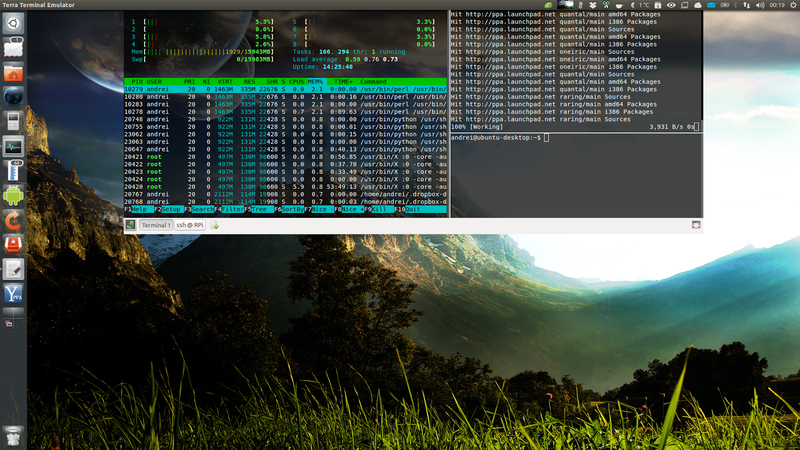 For Arch Linux, you can get Terra Terminal via AUR: BZR or stable. There are also Gentoo packages available. 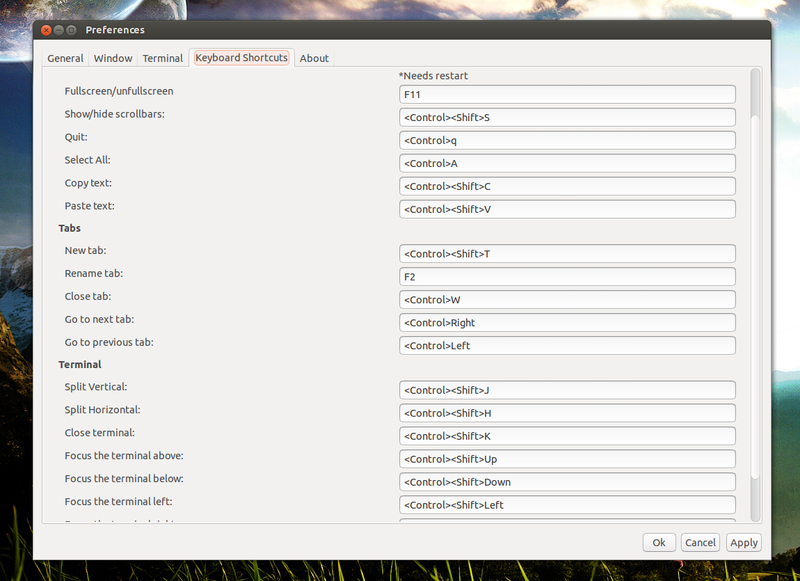 For other Linux distributions, get the Terra Terminal source from Launchpad. If you encounter bugs, report them at Launchpad.